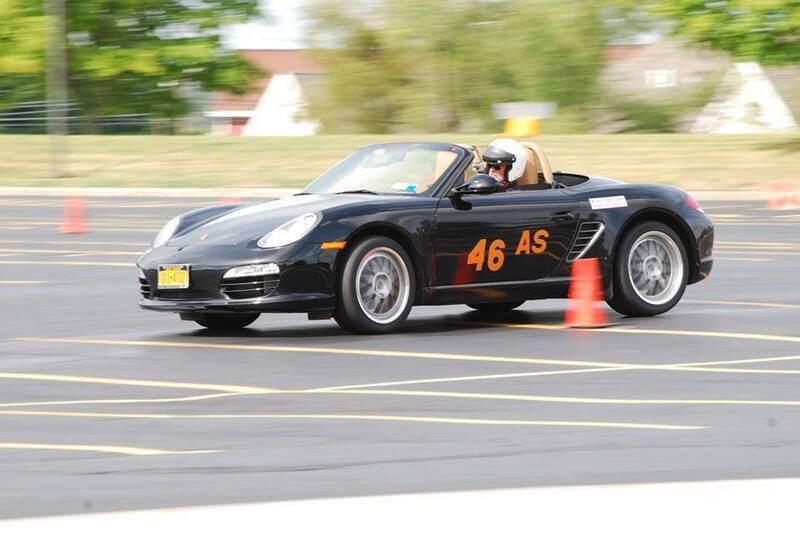 Autocross is an ideal way for drivers at any level of ability to learn the fundamentals of car control. It’s an opportunity to drive your car more aggressively than is safe or practical on city streets or country roads. That’s not to say reckless driving is encouraged; on the contrary, good autocross drivers are in complete control while driving their cars close to their handling limits. One of the attractions to newcomers is that any car in sound mechanical condition can be used. SUVs and vans are not permitted but beyond that, almost any car can participate. Most people that attend an autocross for the first time have never attempted anything like it. Many come back because it’s just so much fun. A few keep doing it year after year because it has become a part of their lives. We group cars into different classes to make things interesting. Cars are grouped by manufacturer depending on the numbers represented. We group BMW, MINI, and Porsche into separate classes. Other manufacturers are usually grouped into the ‘Other’ class but sometimes we’ll group Corvettes or Corvairs together when there is good turnout. Guests are always welcome to watch and cheer on their friends. Things to bring to an event include the kinds of things you would bring to a picnic or day at the beach – appropriate clothing, drinks, sun block and maybe a chair. Food is usually available from a vendor or nearby restaurant, but packing a lunch or snack is a good idea. We look forward to seeing a lot of old and new friends at our events this year!